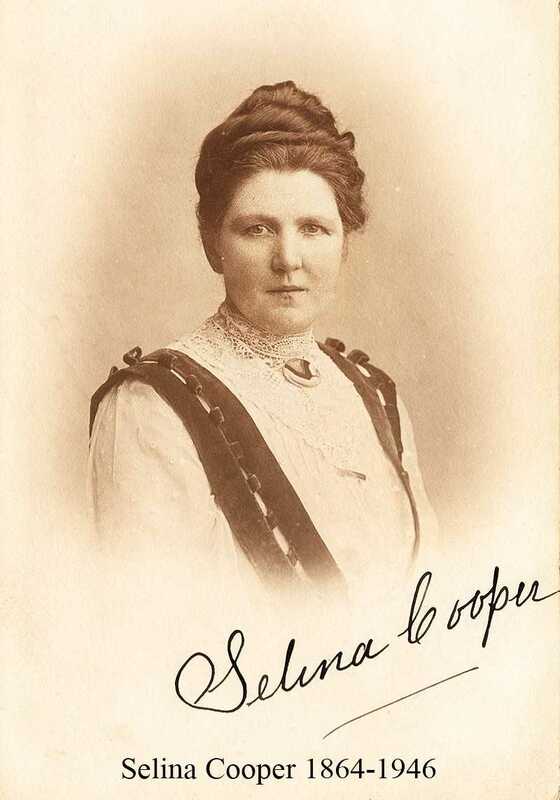 We are delighted to present this guest blog on Selina Cooper, a working class suffragist from Lancashire, who became an influential speaker and organiser for the National Union of Women’s Suffrage Societies in the years before the First World War. The blog is posted shortly after the anniversary of the presentation to Parliament of a petition signed by 30,000 women textile workers which Selina had organised. In 2018, 100 years after women were granted the vote, the history of the struggle for women to gain this right is at once the story of heroes we are familiar with, and heroes unknown to us. As we celebrate the prominent figures who fearlessly and courageously led the public campaign for women to gain the vote, we know that countless uncelebrated acts of bravery, determination and resilience by women (and men) all over the country chipped away at the foundations of a voting system structured around patriarchal values. So too do we understand that there are figures who dedicated their lives to this cause who are yet to be fully acknowledged for the role they played. Selina Cooper, born in 1864, is one of these figures. Selina was a suffragist, socialist and pacifist, who progressed from being a child mill worker to a national figure in the suffragist movement. Her life, like that of so many individuals involved in the struggle for women’s suffrage, did not follow the path circumstances had set out for it. At the age of twelve, Selina started work in a mill as a “creeler”, whose job it was to maintain a supply of fresh bobbins for the cotton emerging from the cotton frames. She left school age 13 to work full time (a 56 hour week) at the mill. Selina’s mother Jane suffered from chronic rheumatism and, when her condition worsened and she became housebound, Selina left work in the mill to care for her. After her mother died in 1899, Selina returned to work, joining the Nelson branch of the cotton workers’ union. Most of the union members were women, but the union was run by men. Selina became involved in campaigns to provide decent toilet facilities for women, and voiced her objection to the way the male management treated young women in the workplace. In 1891, the Independent Labour party established a branch in Nelson. Selina, who was attracted to their support for equal rights for women, became a member. In 1900, Selina joined the North of England Society for Women’s Suffrage (NUWSS) and, in 1901, was selected to present a petition signed by 30,000 female textile workers from Lancashire to the House of Commons. The petition was presented on 19 March and recorded in Hansard. That same year, she stood as the Independent Labour Party candidate for the Poor Law Guardian elections, becoming the first working class woman to win election to the Poor Law board. After speaking in favour of women’s suffrage at the 1905 Labour party conference, and recognising the need to galvanise working class women into the movement, in 1906 she helped form the Nelson and District Women’s Suffrage society. In 1910 she was selected as one of four women to present the case for women’s suffrage to Prime Minister Herbert Asquith. In 1911 she became an organiser for the NUWSS and, over the next few years, travelled the country speaking at by-elections and rallies in support of women’s suffrage. In 1917, Selina organised a march of over 1000 women through Nelson in a Women’s Peace crusade procession. Through these acts, she helped spread the word of the cause of suffrage to women in the north of England, many of whom were living and working in desolate, desperate conditions. She helped harness suffragism, more strongly associated with wealthier women from the south of England, so it felt relevant to and inclusive of all women in the country, especially poorer women, and those from the north who, geographically removed from the political centre of Westminster in which so many decisions about their lives were taken, felt the daily impact of these decisions through the inadequacy of their working rights and conditions. Following the war, Selina was elected to the Town Council, becoming a Magistrate at a time when it was almost unknown for a woman to achieve this. In the 1930s she played a prominent role in the campaign against fascism, travelling to Germany as part of a delegation with a mission to visit internment camps where women were imprisoned to ensure that the conditions were acceptable. Selina Cooper died at home in Nelson on November 11th 1946. A blue plaque has been placed on the terraced house in which she lived for many years. In 2017, having discovered the story of Selina through Jill Liddington’s book ‘Selina Cooper: The Life and Times of a Respectable Rebel’, a small group of enthusiasts set about ensuring her legacy would be brought out of the shadows and communicated to future generations, and remedying the fact that Selina Cooper, a major figure in the suffragist movement, has no permanent tribute celebrating her life and achievements. Two events occurred to facilitate the creation of a fitting memorial. 21 lovingly created but decaying display boards charting Selina’s life and work were discovered in storage at Nelson library. Secondly the Independent Labour party building in Vernon street, Nelson – a building at which Selina was one of two women who laid the foundation stones, was renovated and reopened as the Unity Wellbeing centre. Consequently , this group of enthusiasts, together with Nelson Town Council, are applying for Heritage Lottery funding to give Selina the memorial of which she is deserving at the Centre, so visitors can learn about the history of this local female pioneer and role model in a building which for so many years served as a social and political community hub, and which after many years of disrepair is now once again in common usage, thanks to funding from Nelson Town Council, Lancashire County Council and the Lancashire Environment fund. As well as seeking to restore some of the stained-glass windows which were removed when the building fell out of use, the project aims to create a fitting, permanent memorial to Selina Cooper in the main meeting room which is named after her, by updating and digitising the existing, outdated display boards to create a artwork/memorial and make Selina’s story accessible for visitors today. Nelson is a diverse community, and although the labour market has struggled in recent years, particularly following the recession, one of its greatest strengths and richest assets is in the range of cultures who call it home. Selina’s message, of equal rights for all, and of working people working together to fight for fairness and achieve common aims, is as relevant to the town today as ever. The project also seeks to build a programme which engages with the community in Nelson and further afield, educating visitors about the history connected to the ILP/ Unity Wellbeing building and this prominent local female figure, and bringing this heritage alive by providing a tangible connection for local people in a thriving community hub. Plans to achieve this include engagement with local schools, colleges and community groups, the running of talks and discussions about Selina and the building, and the development of online resources and social media campaigns to spread the message of Selina’s life and work. The theme of buildings is an apt metaphor for this story. Although the voting and democratic system was built around patriarchal structures, small acts of rebellion by suffragists all around the country built up to create a new, more inclusive political landscape. Just as decisions were being taken in Parliament forbidding women the vote, Selina Cooper was laying foundation stones of a building in her hometown which would host and inspire fervent and active political debate in the years to come. Just as this building has fallen into disrepair, so too are acts of loving acts of restoration bringing it back to the thriving social hub it once was, as a resource and tool in which the local community can learn, debate and thrive. The recent unveiling of Gillian Wearing’s statue of Millicent Fawcett in Parliament Square, the only female statuary amongst countless male figures, marks a key moment in our commemoration of suffragism. Sites of memorialisation give us pause to remember what our forebears achieved and what we might achieve yet. They are benchmarks, showing us how far we have come to achieve the equalities we continue to struggle for – in terms of women’s rights, but also rights for all marginalised communities. Life is unimaginably different in 2018 than 1918 – partly thanks to the work of Selina and her peers – but in reminding ourselves of the bravery and tenacity of those who came before us, we may inherit something of their determination to improve life chances for all in our communities today. I hope that Selina Cooper is given a memorial fitting to her legacy, in a building which has the power to inspire others to be as brave as she was.